The Interrotron is a modified version of the teleprompter that projects a live feed instead of a script onto the glass placed in front of the lens. This creates a “face to face” conversation between the talent and the director, allowing talent to relax and behave more naturally than they would if they had to look directly into a lens. Learn more about the unit here. 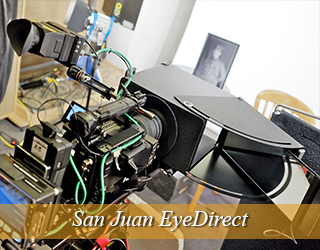 The EyeDirect functions like the Interrotron in that both talent and director are able to see each other “face to face”. 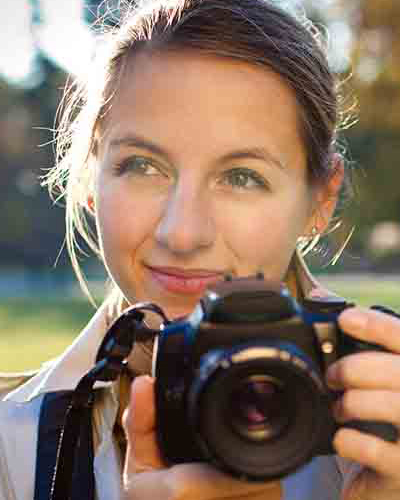 The EyeDirect helps the director capture talent reactions in their most natural state. The unit is portable, easy to use and does not require AC power. The speech prompter includes two glass panels placed on either side of a podium. This unit is most popular at live events such as award ceremonies, political speeches, conferences, large meetings and graduations.Presidential Prompter aka Speech Prompter Click HereA-List Talent We Have Prompted For. Click Here. This unit liberates a speaker from standing in one place on stage. This setup allows the talent to walk around the stage and venue, while still having access to the script. The HD monitor(s) can be placed on stage, off stage and at the back of the room.Contact us to discuss the best setup for your event. Go paperless at your next event. 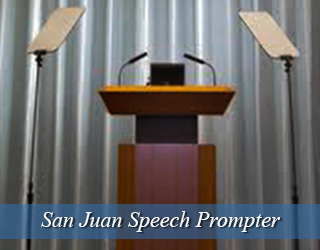 The podium prompter replaces paper notes for speakers and is invisible to the audience. The thin teleprompter is situated on top of the podium and all wires are tucked away. The speaker simply looks down at the monitor as if reading notes, and looks back to the audience to address them. This unit is not available in all locations and is custom built.Please call Bill at 917-414-5489 or Jocelyn at 646-617-6535 for more information re availability and pricing. Founded in 1521, San Juan is the capital and the most populated municipality in Puerto Rico. It also behaves as the center of culture, tourism, and finance. The city also boasts one of the largest natural harbors, and one of the busiest ports in the Caribbean. 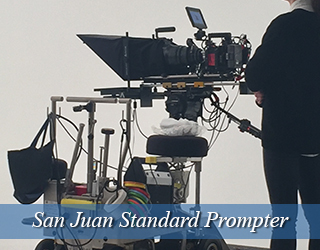 San Juan isn’t only the capital of commerce in Puerto Rico, but it has also served as a location to many films including Fast Five, Lord of the Flies, Bad Boys II, 22 Jump Street, and Act of Valor. Contact us for speech coach solutions in your area. The Puerto Rico Convention Center is located in San Juan and can hold events for any crowd size from 10 to 30,000 attendees. The center consists of 152,700 sq. ft. exhibit space, a 39,500 sq. ft. ballroom, 36,400 sq. ft. of meeting space, 15 meeting rooms and 12,800 sq. ft. of outdoor terrace space.